Ah, how did we find ourselves on the last day of the month already? September seriously flew by, between two weddings and a weekend away - I'm 100% ready for a relaxing weekend coming up! Even with a hectic month and starting a new job, I tested out a few new things this month and I'm excited to share these favorites with you! Who doesn't love a silky smooth lipstick? Getting chosen for the YSL Influentster box is like hitting the lottery! 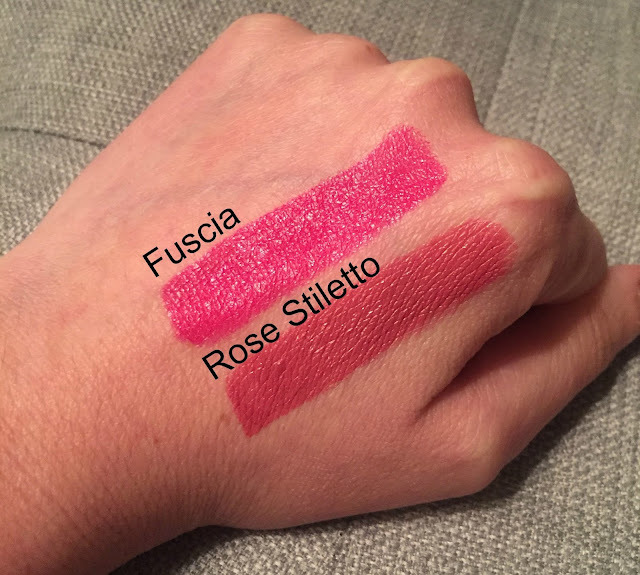 I was sent two colors to test out - Fuscia & Rose Stiletto. The one I will be getting the most use out of is definitely Rose Stiletto since it's more of an every day shade and a shade that looks really gorgeous on different skin tones, my sister tried it this past weekend and has a much fairer complexion than I do. You don't need to over apply the lipstick either - the color is extremely pigmented and very hydrating. So if you're feeling like your lips are a little dry it wont show with this lipstick! There are 42 different shades in the collection and with a price point of $36 for this high end lipstick you're sure to find a color that you like! True story I bought a Maybelline primer at CVS at the start of the month and somehow in that same weekend managed to lose it -in my own house? I had used up my ELF primer, so I quickly stopped by Sephora to pick up a travel size of the smashbox photo finisher and absolutely loved it! The green color aides in color correcting and smoothing away the appearance of redness, completely fades to a smooth finish and it felt very similar to the blur primer from YSL I raved about it my empties video. I'm a self tanning novice and hate when I find myself applying a self tanner that leaves streaks. Even worse when the tan fades at different times. Enter in this one night only wash off body lotion! It's an instant bronzing lotion that provides you with just enough glow to fake a tan! I bought the only size they offer which also happens to be easy to travel with! I've used it about a dozen times and cant rave enough about how easy it is to apply and in case you make a mistake it completely washes off without any problems! So - I may or may not have picked up another planner...I have a problem and I admit it! But I was having a hard time carrying my bigger Bando planner to and from work and basically in every bag I own so I scooped up this perfectly sized gold agenda and I'm so happy I did! It has the perfect amount of space for me to write in any plans I have for the day or appointments and still see the full week view. I don't use this as my to-do list or anything just more so a quick glance to see my week and coming weeks on the go! Have you tried any of these before? What was our favorite product of the month? Linking up with Jenn & Jessi Influenster sent me the YSL lipsticks in exchange for an honest review - all opinions are 100% my own. Oh girl, you and me both are ready for some chill time. Both of our Septembers were crazy, it's time to relax a bit. I've heard great things about the YSL lipstick, I might join Influencster JUST to try and get some, not a fan of the price tag! Yes, girl! I'm so into pens its kind of ridiculous. 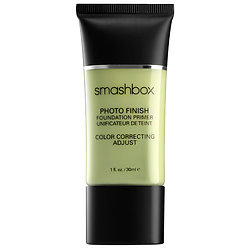 And I've heard so many great things about the Smashbox primer - I totally need to try it! The YSL lipsticks are so gorgeous! Love the fuscia. I have loved Photo Finish forever, the corrector primer you have is so so great, love how smooth it is!! I hope you have a wonderful Wednesday gorgeous!! I looveeee pens! Can I have them all?! And that planner - neeeeed! I need the Rose Stiletto YSL! That is gorgeous! And loving that planner! Happy Wednesday! I'm obsessed with YSL lipsticks but haven't tried these out yet...might need to get my hands on one! I'm also in the market for a new primer so thanks for the suggestion!! I'm sorry...ERASABLE gel pens? Sold! Those YSL lip colors are beautiful! The Rose Stiletto is such a great everyday color. You just can't beat YSL lipsticks! They are the best, and these two colors are gorgeous! That bronzer would be perfect for a special event, I can't wait to check it out. How is it the end of September already?! YSL is my favorite lipstick ever! I have this fuchsia color and just love it. 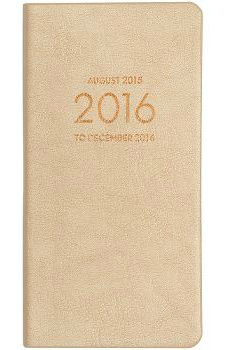 Such a cute gold agenda too! Happy Wednesday! Ahhh you are so lucky that you got those lipsticks!! I love that fuschia color! Erasable pens are my favorite! I'm still on the hunt for a perfect primer. I've seen a few around the blogsphere that I've added to my list and so I'll add this one too! Yup, running out to buy those pens immediately! I love writing in pen but like you, I hate scratching things out! And those YSL lipsticks are gorgeous! 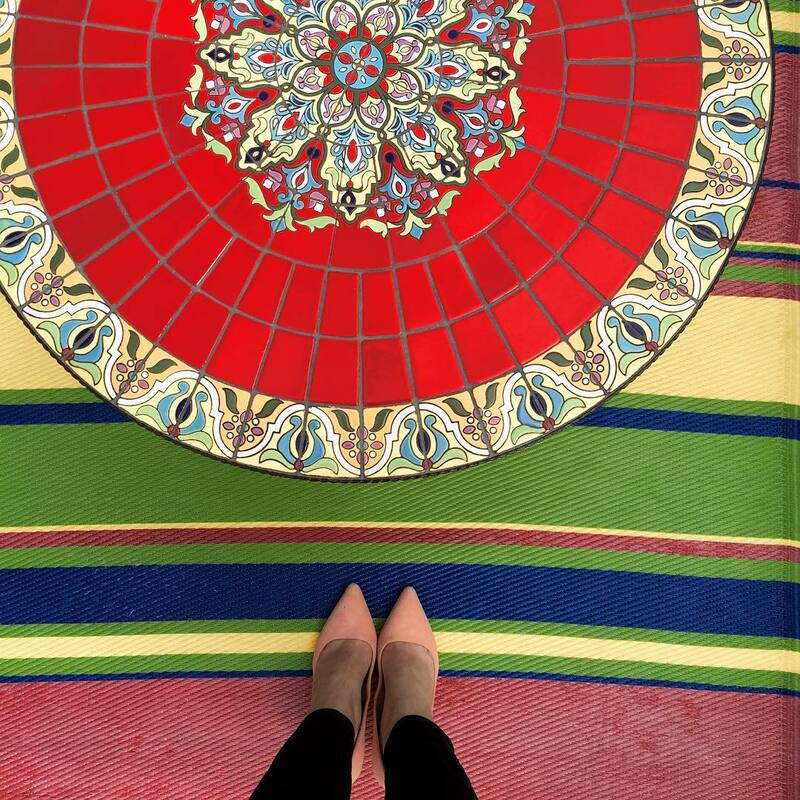 Love both colors but you're right, the Rose Stiletto is so perfect for every day! Totally jealous you got to test the YSL lipsticks!! Those colors are gorgeous!!! I'll have to try those pens! I think I press to hard to stick with Le Pen! 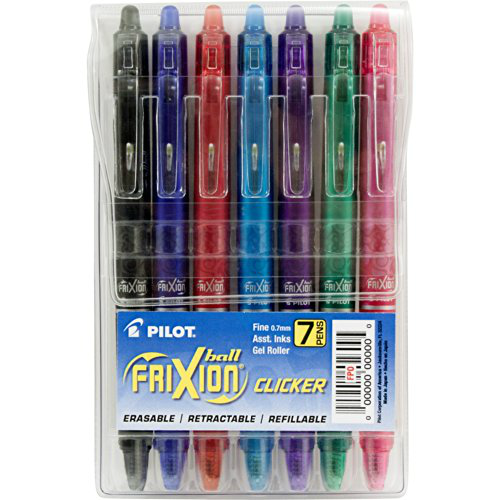 Erasable pens! That's like having your cake and eating it too! I love that rose stiletto cloro by the way. I NEED to try out that tanning lotion! I am the same way-no matter how hard I try my self-tan always comes out streaky so I sort of just have up! Those YSL lipsticks look gorg too! I need to get that one night self tanner! I use to have another brand similar and I used it all the time but I haven't been able to find it again! Definitely need to check this out! ah i got the influencer box too! but the perfume and it smells so good :) this is a great roundup of stuff! i love those lipstick shades - so fun to try! also erasable pens - reminds me of elementary school and now i need some! I feel like a good hydrating lipstick with a lot of color is harder to come by than it should be. Both of those shades look lovely but I'd probably be more of a "rose stiletto" girl too. And I 100% need to get my hands on those erasable pens, would make life so much easier! YSL Lipsticks are my absolute favorites - they always look/feel so good! I'm actually heading to the mall in a little bit and hoping to pick up a new fall color. The Smashbox primer is the best!! Although I got a sample of the Hourglass primer with my Sephora points and I really like that one too. I want those pens! Be perfect for my new planner! Love hearing about all your beauty reviews...I am not huge at trying things myself, so it is always good to have recommendations first! Love hte lipstick colors! So pretty! That's the worst when you lose a makeup product right whe nyou buy it. (#guilty haha). Love the smashbox primer!! Love the YSL lipstick! I definitely need to try it soon! I love those YSL lipsticks. I totally need Rose Stiletto in my life. I have never seen those pens before, I totally need to find them. They sent you YSL lippies?! Dang girl!!! I just get lotion all the time. haha Apparently they think my skin is try. 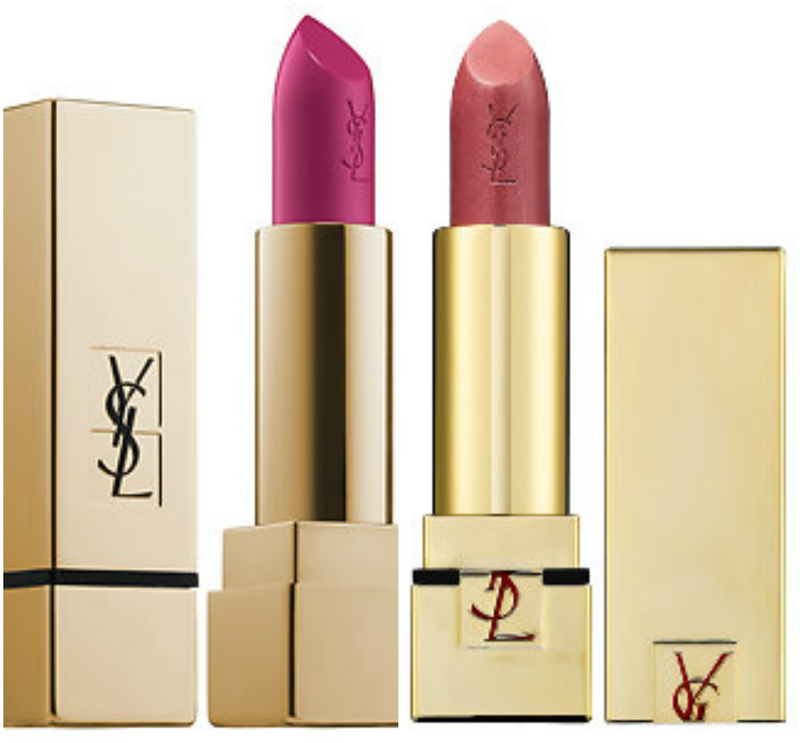 (; I've never tried a YSL lippe, but dang those look amazing! I am a sucker for a good pen...but a good colored pen, that erases!!! That I need to look into! I must go and look for those pens! I'm obsessed with those pens too! I still can't believe how good they really erase, haha. Both of those lip colors look so pretty & the formula looks amazing! 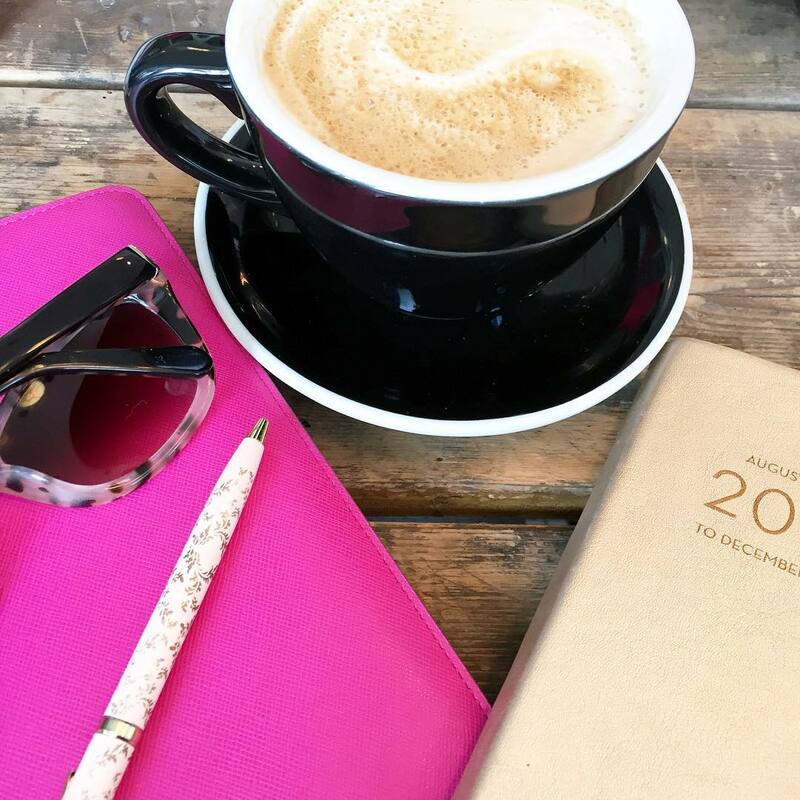 Great post and LOVE that gold agenda! I'm definitely looking forward to a more relaxing weekend coming up too! Love those lipstick colors, so pretty! 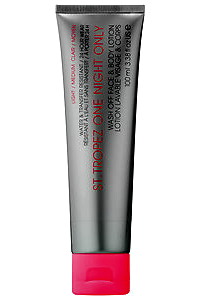 And I am definitely intrigued by the St. Tropez tanner! Loving that YSL Rose Stiletto shade, not a bad price point for a higher end brand. That correcting primer is something I've wanted to try, but after hearing how well it worked, I may just be picking it up. OMG girl I feel ya on the billion planners thing, everytime I see a new one, somehow I just neeeed it. My coworker thinks I'm nuts for having so many and thinks I should just use my phone...but I need.to.write.it.all.down!!! that hot pink lipstick is perrrrrrfect! So jealous of you YSL box! I just recently ran out of that Smashbox primer - it's my fave! I replaced it with the NYX green primer, with is good, but can't match Smashbox. I might have to return to my fave next time. That fuscia lipstick is SO pretty! And I'm a sucker for office supplies too - gotta get those pens! That one day only bronzing lotion sounds awesome. Does it get on your clothes or stay pretty much put? I've used Smashbox primer before & liked it! I haven't tried any of the other products. Both those lip colors are gorg! A new planner & pens? I may have actually said "OHHHH" out loud like a kid looking at candy. I need those pens. Do they erase well? I need some for my new planner! I've always been a big fan of that primer in green, too - glad you're loving it! And yay for a new (another ;)) planner! That bronzing lotion sounds fantastic. I used to use Smashbox primer years ago, but when I found out the Monistat Chaffing Gel is almost the exact same formula, I started buying that instead. Love it! The YSL lipsticks are gorgeous! I'ms o jealous of everyone who got that Voxbox to test out. lol The fuchsia color especially is gorgeous! Seriously September just flew by, the holidays will be here before you know it...eek! And love ysl lipstick, I only have one tube of it, but I want more colors! The colors are lovely, I heard that primer is really good I should try it sometime. I really want to buy the YSL lipstick! Ooh I love the idea of the erasable pens. I only use pencil in my planner since I am constantly changing things, but that always smudges. The colors of the YSL lipstick are sooo pretty! I am getting the YSL box and I had no idea it came with lipstick. Getting excited to see what colors I get. I need to check out those erasable pens!! I use a paper planner as well (Erin Condren) and I would love to be able to erase! I didn't even know they made those anymore! I'm kind of digging this temporary self tanner b/c streaks are never chic! A must try! That Influenser box sounds interesting... I'm going to check it out. Those lipsticks look amazing... I'm a huge fan of YSL!! I need to give that Smashbox primer a shot. I've been wanting to find one. Yeah I love my Plum Planner but it's so big. I need something small that fits in every purse without weighing it down. The YSL lipsticks are so pretty! I can't decide which one I like more - I need to see it with your hair because I think that will change everything. You're totally right, scoring the high-end VoxBoxes is totally like winning the lottery! I just scored the Keratease hair products and I was like YESSSSSS! an erasable pen?! what is this sorcery?! i need them in my life. and how adorable is that planner? love it. meanwhile, i feel you on losing things in my own house. i normally blame the cats, but it's almost 100% me hahaha. 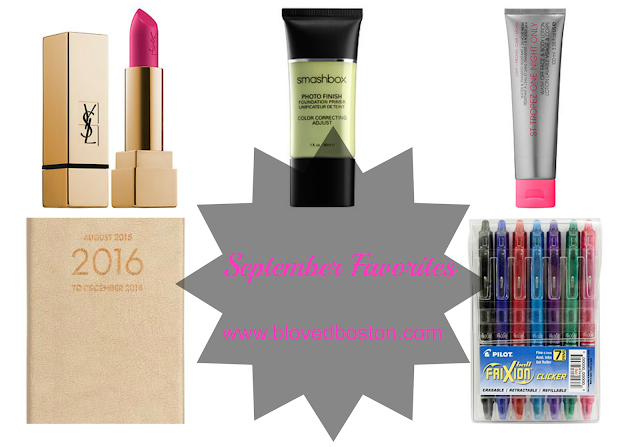 Lots of products to love this month! I'm so jealous that you got picked for the Influencer YSL box - those lipsticks are gorgeous. And, I definitely need to check out these pens! Yay! I go that YSL box, too and I am OBSESSED! I actually think I like the fuscia better! I am not a huge bright pink lipstick person either so I am not sure where that is coming from but I adore this one. Between erasable pens AND erasable self tanner (that is always streaky somewhere/all over my hands!) I'm loving your mixed bag for September, lady! I need to try those lipsticks! They look perfect for fall! Love your gold agenda!! That YSL lipstick is so dreamy... I'm loving the rose stilleto color! I have that Smashbox primer and it's great! I love how it feels on my skin. That lipstick is gorgeous! I love those shades!! I'm such a paper and pen addict and have been on the hunt for new pens (is that a thing to hunt for?) I need to get these! Oh wow both of those lipsticks look so stunning!! So much fun stuff! Those lipstick colors are gorgeous and I will totally have to check out those pens! I hate when I see scribble marks anywhere. UGH! Love the rose lipstick. Great colors and favorites for fall! Congrats on being picked to try YSL lipstick, that is so awesome and those colors are gorgeous! I'm actually headed to Target later today to pick up a planner :) I'm so excited! Love that rose stiletto color! So perfect for falL!! Both of those lipstick colors are gorgeous!!!! I'm jealous!!!! I just tried the regular Smashbox primer for the first time not too long ago... when I was at the store I couldn't believe how many different varieties they had of it. They should make a sample pack of one of each!